I mostly write about kenjutsu, the Japanese sword art, but that’s only one of several arts that I practice. Another is the 16th century Spanish rapier style La Verdadera Destreza (literally “true art and skill,” and the image above is my wife and I practicing this style). 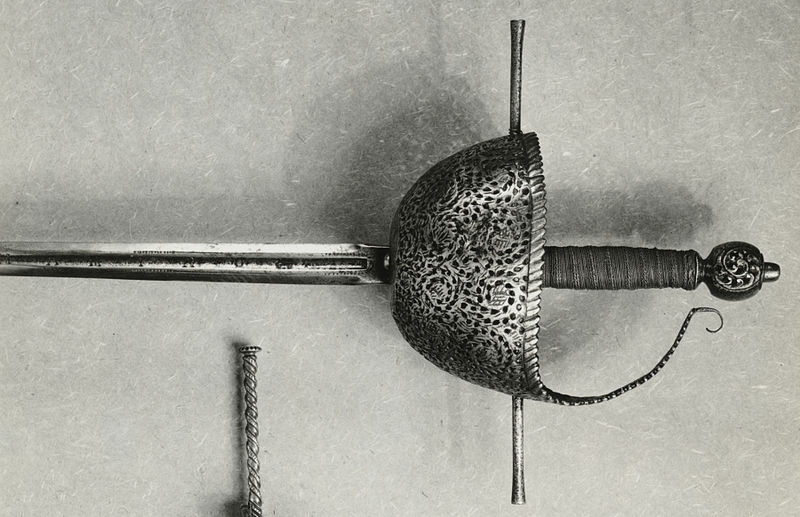 A Spanish cup hilt rapier, from Wikimedia. A note about my background here: I was taught Destreza by a man who learned it while serving in the Army and stationed in Panama. He was taught by a Spanish expatriate living in Panama, who was taught the art in Spain. Assuming that all of this is true, I learned this as a living art, and (other than the few others who were taught by my teacher and the folks I’ve taught myself) I don’t know of anyone else who can say that.